Clavicle fractures are a common orthopedic injury, especially among infants and young children. The clavicle, known as the collarbone, is a long bone located at the top of the chest. A clavicle fracture most frequently results from trauma. The majority of clavicle fractures can heal without surgery. If surgery is necessary, the bone is secured with surgical hardware, such as plates and screws. The clavicle is a long bone located on the upper chest. It is part of the shoulder joint. The clavicle provides stability for arm movements. The clavicle is not fully developed (ossified) until the late teens or early 20s. Trauma is the main cause of clavicle fracture. A forceful impact to the shoulder area during a motor vehicle collision, a fall, or sports can break the clavicle. Newborns can experience a fractured clavicle as the result of a difficult birth. You may hear a snapping sound and feel immediate pain when the clavicle breaks. The pain may increase and become sharp with movement. Bruising and swelling are common. If the bone has moved out of position, it may appear as a bump under the skin. Your shoulder area may not look as upright as usual. It may appear slumped forward and downward. You should contact your doctor immediately or go to the emergency department if you suspect you have broken your clavicle. Your doctor will review your medical history and conduct a physical examination. X-rays are taken to see the location and extent of the fracture. 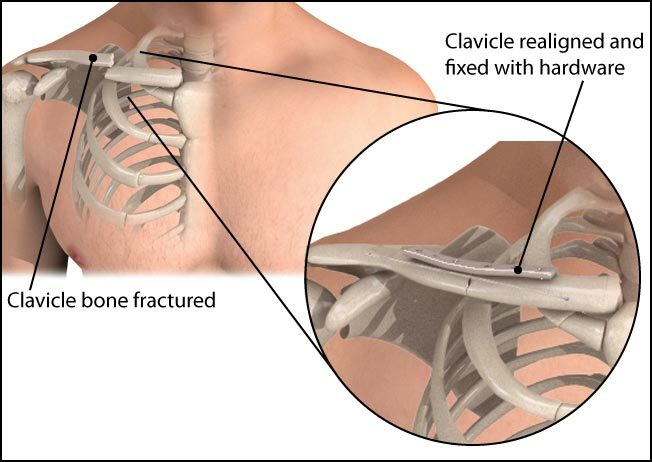 Clavicle fractures are most commonly treated with slings or a figure eight splint. A sling supports the arm and positions the shoulder to allow the fracture to heal. A figure eight splint wraps around the front of the shoulders and crosses in the back. It helps to maintain shoulder posture while the bone heals. Over-the-counter or prescription medications are used for pain relief. You may participate in rehabilitation therapy to help regain strength and motion following splinting or surgery. The majority of clavicle fractures can be treated without surgery. However, opinions about surgery are ever changing. 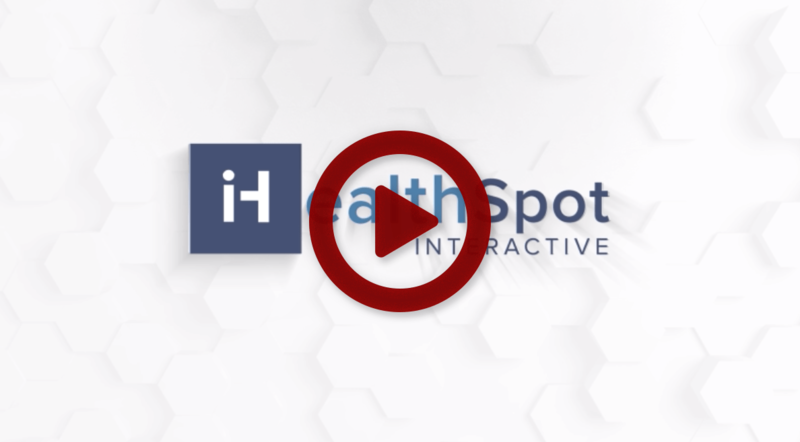 Recent research shows that many patients that were not treated with surgery have had persistent problems. Your doctor will discuss the benefits of both procedures with you. Surgery may be needed for fractures that fail to heal, broken bones that come through the skin, or broken bones that are a threat to nearby nerves, blood vessels, soft tissues, or joints. The surgery involves aligning the bone in the proper position and securing it in place with surgical hardware, such as screws and plates. The surgical hardware may or may not be removed after the bone has healed. 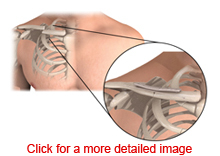 Recovery from clavicle fracture is individualized and somewhat influenced by the age of the person. Children may heal in three weeks, and adults may take four to six weeks to heal. People can generally return to their full activity level in about 12 weeks. All-Star Orthopedics offers specialized treatment for bone and joint injuries of the hip, knee, shoulder and elbow. Patients who suffer from sports injury, auto accident, job-related injuries, carpal tunnel, sprain, strain, fracture, ganglion cyst, rotator cuff tear, frozen shoulder, knee ligament tear, osteoarthritis and other orthopedic conditions turn to our orthopedists for comprehensive care. Our experienced orthopedic surgeons also perform knee replacement, reverse shoulder replacement, total shoulder replacement, hip replacement, hip resurfacing and other minimally invasive procedures for faster recovery.